This year, one local business solidified its commitment to the environment as the fall salmon began to return. On October 11, Managing Director Ronald Roark and General Manager Hartwell Champagne of Gig Harbor Marina and Boatyard were awarded the 81st Clean Marina certification for their work protecting water quality and their commitment to communicating environmental best management practices to boaters. Gig Harbor Marina and Boatyard achieved their certification by improving oil spill response, reducing and properly managing hazardous waste, and providing a free sewage pumpout service to boaters. In addition, they adopted the Clean Marina best management practices (BMPs), and have committed to educating boaters about how to prevent oil, sewage, debris and soap from going into the water. In May of 2018, Puget Sound was designated as a No Discharge Zone for vessel sewage. 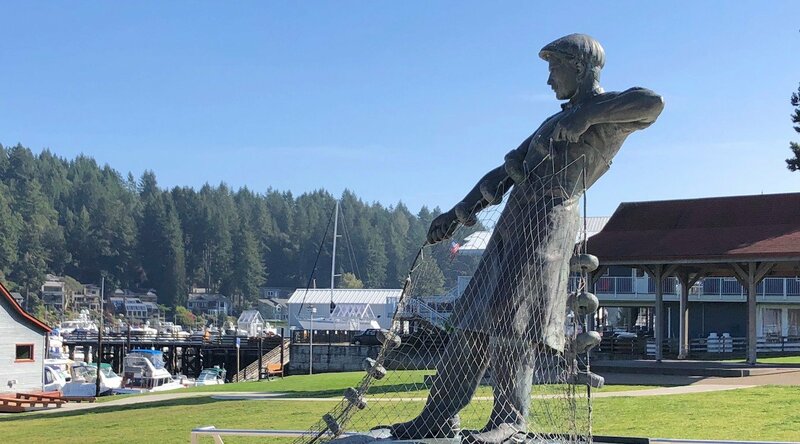 Gig Harbor Marina and Boatyard provides moorage for Terry and Sons Free Mobile Pumpout Service, and has helped to secure matching funds to ensure that this service is available at no charge for Gig Harbor boaters. Thanks to services like this, boaters have more options than ever to hold their onboard waste and keep it out of local waterways. Clean Marina Washington was created in 2005, and is an incentive-based certification program in which marinas assess their operations and implement improvements to better protect the environment. When they reach the qualification standards of Clean Marina Washington they earn the right to fly the Clean Marina flag. Clean Marina Washington is a partnership of Puget Soundkeeper Alliance, EnviroStars Cooperative, Northwest Marine Trade Association, Washington Sea Grant, Washington Department of Ecology, Washington Department of Natural Resources and Washington State Parks and Recreation. This project has been funded wholly or in part by the U.S. EPA under assistance agreement PC-01J18001 to Washington State Department of Health. The contents of this piece do not necessarily reflect the views and policies of the EPA nor does mention of trade names or commercial products constitute endorsement or recommendation for use.